Media personality Stephanie Coker cannot seem to catch a break. Ever since her celebrity wedding that spanned two continents (Europe and Africa), it looks like she is having to pay for choosing to marry a “big boy” with all the ostentatious trimmings. 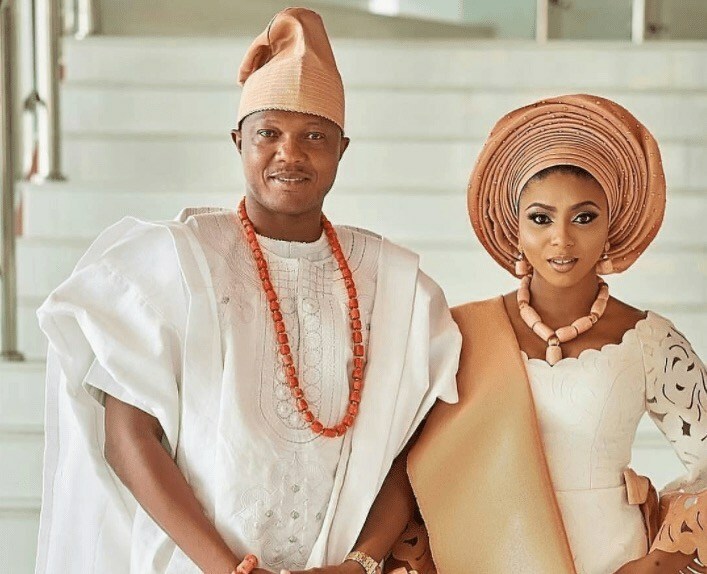 Barely a few months after her lavish weddings (traditional and white weddings), her husband, Olumide Aderinokun, was arrested and charged for alleged fraud crimes by the Nigerian police. He has since been released on bail. Now, it is yet another public relations crisis where her husband has been accused of infidelity in a publicly embarrassing way. Click here to read private chats that allegedly took place between her husband and a college student, Yolanda Aiyemo, his alleged mistress. The alleged mistress in the middle of all the mess has just released a statement which you can read below. But, before you do, I wonder, from Coker’s standpoint, how do you deal with a marriage situation where from the immediate onset, your husband’s alleged actions are successfully tarnishing your personal and business brand. Any takers? She is a newlywed, she is young and it seems like she can’t get any break with this guy she married. Read the statement by the college Student Yolanda Aiyemo accused of infidelity in a private chat between her and Coker’s husband that has since gone viral. “I want to strongly denounce every rumor and allegation to the rumored issue of the infidelity crisis in Stephanie Coker’s marriage. I declare that I have never met Mr Aderinokun in my life and the conversation that transpired was all photoshopped and diabolical imagination of some evil element to create negative unsubstantiated destructive news. I wish we had better technology that could have been used to track this hacker. I will also like to state that I am not in any way a SIDE CHICK and would never be one. I will not dream to cause havoc or break another person’s home. I come from a very honorable home and a Christian one. I would never in a lifetime try to tarnish the image of my family, myself and my school. During this time of this fake rumor I have experienced an excruciating level of disgrace, depression, insults, defaming of my personality from the public online and physically. I want to boldly say that I am no side chick, runs girl or whatever the negative name that have been said about me. It is quite unfortunate that the world we live in now is one where people would do just about anything to put another down.